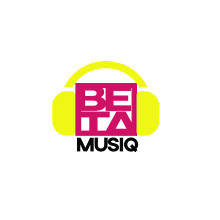 After making series of song theft allegations against him, singer 2baba Idibia has asked his former collaborator Blackface to apologise or get sued. 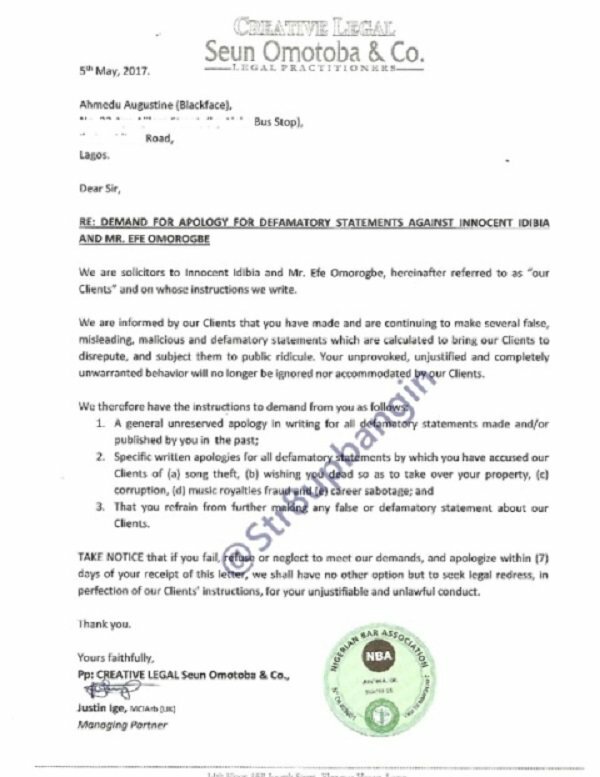 In a letter sent through his lawyers, Seun Omotoba & Co, 2baba demands that Blackface apologises for all the defamatory remarks he has made about him. 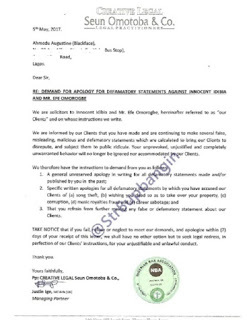 According to the letter dated May 5, Blackface has a week to apologise or be ready to face legal actions. Blackface had recently told Premium Times that ‘Let Somebody Love You’, a 2baba song, was originally his. He also claimed that he had not yet been compensated for writing African Queen. 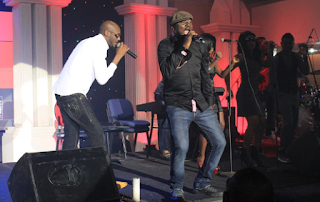 “2face sang my song (Let Somebody Love You) and featured an American artiste, Bridget Kelly. 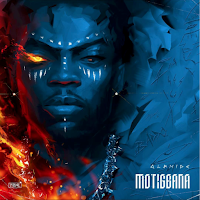 His manager published it without my permission,” he had said.